2. Jurisdiction. The Site is controlled and/or operated from the United States, and is not intended to subject us to non-U.S. jurisdiction or laws, except as otherwise expressly stated in this Agreement. The Site may not be appropriate or available for use in some jurisdictions outside of the United States. If you access the Site, you do so at your own risk, and you are responsible for complying with all local laws, rules and regulations. We may limit the Site's availability, in whole or in part, to any person, geographic area or jurisdiction we choose, at any time and in our sole discretion. representatives; falsely state or otherwise misrepresent your affiliation with any person or entity; or express or imply that we endorse any statement or posting you make. 5. Registration. You may need to register to use any part(s) of the Site. We may reject, or require that you change, any user name, password or other information that you provide to us in registering. Your user name and password are for your personal use only and should be kept confidential; you are responsible for any use of your user name and password, and you agree to promptly notify us of any confidentiality breach or unauthorized use of your user name and password, or your Site account. a. Generally. The Site may contain areas where you can post information and materials, including, without limitation, text, images, photographs, graphics, music, videos, audiovisual works, data, files, links and other materials (each, a “Submission”). For purposes of clarity, you retain ownership of any Submissions that you post, subject to the terms and conditions of this Agreement (including the license grant in Section 6(b) below). b. License Grant. For each Submission that you post, you hereby grant to us and our affiliates (including without limitation Warner Music Group, Atlantic Records, Warner Bros. Records, Rhino Entertainment and our other affiliated record labels) (collectively, our “Affiliates”) a world-wide, royalty free, fully paid-up, non-exclusive, perpetual, irrevocable, transferable, and fully sublicensable (through multiple tiers) license, without additional consideration to you or any third party, to: (i) reproduce, distribute, transmit, communicate to the public, perform and display (publicly or otherwise), edit, modify, adapt, create derivative works from and otherwise use such Submission, in any format or media now known or hereafter developed, on or in connection with the Site or any of our (or our Affiliates') similar services or products (e.g., any web sites, and any desktop, mobile or other applications, widgets or APIs) (such services or products, collectively, the “Site-Related Services”); (ii) exercise all trademark, publicity and other proprietary rights with regard to such Submission; (iii) use your name, photograph, portrait, picture, voice, likeness and biographical information as provided by you in connection with your Submission for any promotional purposes related to the Site or the Site-Related Services, in each case, in connection with your Submission; and (iv) use your Submission (including the contents thereof) for any promotional or other business purposes related to the Site, the Site-Related Services, and Artists. For the purpose of clarification, nothing in this Agreement shall be deemed to authorize you to incorporate into any Submission any content or material owned by us, our Affiliates or our respective artists (“Artists”), directors, officers, employees, agents and representatives (“Representatives”) and licensors and service providers (collectively, “Providers”). IF YOU DO NOT WISH TO GRANT THE RIGHTS GRANTED IN THIS SECTION 6, PLEASE DO NOT POST ANY SUBMISSIONS ON THE SITE. c.	Disclaimers. It is possible that Site visitors will post information or materials on the Site that are wrong or misleading or that otherwise violate this Agreement. We, our Affiliates and our respective Artists, Representatives and Providers do not endorse and are not responsible for any information or materials made available through the Site or your use of such information or materials. All Submissions will be deemed to be non-confidential and may be used by us (i) without any confidentiality or other non-disclosure obligations and (ii) without attribution to you or any third party. We reserve the right, in our sole discretion and at any time, to set limits on the number and size of any Submissions that may be posted on the Site or the amount of storage space available for Submissions. d.	Acknowledgement. You hereby acknowledge and agree that (i) you have received good and valuable consideration in exchange for the rights granted by you hereunder in and to any Submission that you post, including, without limitation, the ability to participate in activities on the Site and the possibility that publicity or favorable exposure may arise from our or our Affiliates' use of such Submission or any derivative works incorporating or embodying such Submission; and (ii) you are not entitled to any further compensation for any use or other exploitation of such Submission by us or our Affiliates or any other party (including, without limitation, our or our Affiliates' Artists, Representatives and Providers) pursuant to the rights in such Submission that have been granted hereunder and/or that are available under applicable law. e.	Representations and Warranties. You hereby represent and warrant that: (i) you have the legal right and authority to enter into this Agreement; (ii) you solely own, or otherwise have the full right and permission to exploit, all of the rights in, to, and under any Submission that you post and to grant the rights and licenses set forth herein, and with respect to any third party materials that appear in or are otherwise incorporated or embodied in any Submission that you post, you have obtained express, written clearances from all owners of and rights holders in such third party materials as necessary to grant the rights and licenses set forth herein; (iii) you have obtained the written consent, release, and/or permission of every identifiable individual who appears in any Submission that you post, to use such individual's name and likeness for purposes of using and otherwise exploiting such Submission(s) in the manner contemplated by the Agreement, or, if any such identifiable individual is under the age of eighteen (18), you have obtained such written consent, release and/or permission from such individual's parent or guardian (and you agree to provide to us a copy of any such consents, releases and/or permissions upon our request); (iv) any Submission that you post, and the use thereof by us, our Affiliates, and our and their respective designees (including, without limitation, our and their respective Artists, Representatives and Providers), do not and shall not infringe upon or violate any patent, copyright, trademark, trade secret, or other intellectual property rights or other rights of any third party; (v) any Submission that you post is not confidential and does not contain any confidential information; and (vi) in creating, preparing and posting any Submission, you (A) have complied and will comply in all respects with all applicable laws, rules (including, without limitation, our Rules of Conduct), and regulations and (B) have not violated and will not violate any understanding by which you are explicitly or implicitly bound (including without limitation any agreement with any third party). If you do post a Submission that contains the likeness of an identifiable individual, we strongly encourage you not to include any identifying information (such as the individual's name or address) within such Submission. f.	Waiver; Further Assurances; Indemnity. To the extent permitted under applicable law, you agree to forever release, discharge and waive all claims against us, our Affiliates and our and their respective Artists, Representatives and Providers from, and covenant not to initiate, file, maintain, or proceed upon any suit, claim, demand, or cause of action against us, our Affiliates and our and their respective Artists, Representatives and Providers with respect to, any and all claims, demands, actions, losses, costs, damages, liabilities, judgments, settlements and expenses (including, without limitation, reasonable attorneys' fees) that relate in any way to this Agreement and/or the use of any Submission in a manner consistent with the rights granted under this Agreement, including, without limitation, any claim for idea misappropriation. Additionally, to the extent permitted under applicable law, you hereby waive any and all rights that you may have under laws worldwide that concern “moral rights” or “droit moral,” or similar rights, in connection with any Submission that you post (and you hereby represent and warrant that you have obtained clear, express written waivers from any applicable third parties with respect to any and all rights that such third parties may have under such laws in connection with any Submission that you post). At any time upon our request, you shall: (i) take or cause to be taken all such actions as we may reasonably deem necessary or desirable in order for us and our Affiliates to obtain the full benefits of this Agreement and any licenses granted by you hereunder, and (ii) execute a non-electronic hard copy of this Agreement. Without limiting any other provision herein, you agree to indemnify us, our Affiliates, and our and their respective Artists, Representatives and Providers as further set forth herein, including in Section 20 below. g.	No Obligation to Use. For the purpose of clarification, it shall be in our sole discretion whether or not to exercise any right granted to us under this Agreement, and we shall have no obligation to use or otherwise exploit any Submission. 7. Unsolicited Submissions. Notwithstanding anything to the contrary in this Agreement, we and our Affiliates do not accept, invite or consider unsolicited submissions of ideas, proposals or suggestions (“Unsolicited Submissions”), whether related to the Site, our Products or otherwise. We do not treat Unsolicited Submissions as confidential, and any Unsolicited Submission will become our or our Affiliates' sole property. We and our Affiliates have no obligations with respect to Unsolicited Submissions and may use them for any purpose whatsoever without compensation to you or any other person. 11. Product Delivery. Except to the extent prohibited by applicable law, we reserve the right to change Product delivery options without notice. On occasion, technical and other problems may delay or prevent delivery of a particular Product. Except to the extent that applicable law provides otherwise, your sole and exclusive remedy with respect to any Product that is not delivered within a reasonable period will be either replacement of such Product or a refund of the purchase price paid for such Product, as determined by us in our sole discretion. 13. Product Requirements; Compatibility. You acknowledge that use of our Products requires other hardware and software tools (e.g., in the case of full permanent audio downloads, for making copies of Products on physical media and rendering performance of Products on authorized digital player devices), and that such hardware and software, including, without limitation, all charges therefor, are your sole responsibility. To the extent permissible under applicable law, we, our Affiliates and our (and their) Artists and Representatives or Providers shall not be responsible or liable for the loss or damage of any Product. Except to the extent prohibited by applicable law, we reserve the right to change at any time, with or without prior notice to you, the software or hardware required to download, transfer, copy and/or use or limit the use of any Products. 15. Our Proprietary Rights. We, our Affiliates and our respective licensors and suppliers own the information and materials made available through the Site. Such information and materials are protected by copyright, trademark, patent and/or other proprietary rights and laws. Except as expressly authorized in advance by us, you agree not to reproduce, modify, rent, lease, loan, sell, distribute or create derivative works based on, all or any part of the Site or any information or materials made available through the Site. 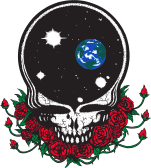 We, our Affiliates and/or our respective licensors or suppliers own the trade names, trademarks and service marks on the Site, including without limitation GRATEFUL DEAD, RHINO, WARNER MUSIC, WARNER MUSIC GROUP, and any associated logos. All trademarks and service marks on the Site not owned by us or our Affiliates are the property of their respective owners. You may not use our trade names, trademarks and service marks in connection with any product or service that is not ours, or in any manner that is likely to cause confusion. Nothing contained on the Site should be construed as granting any license or right to use any trade names, trademarks or service marks without express prior written consent of the owner. 18. Links and Feeds. The Site may provide links to or feeds from other web sites and online resources. We and our Affiliates are not responsible for and do not endorse such external sites or resources. Other sites may link to the Site with or without our authorization, and we may block any links to or from the Site. YOUR ACCESS TO AND USE OF THIRD PARTY WEB SITES, CONTENT AND RESOURCES IS AT YOUR OWN RISK. 19. Limitations of Liability and Disclaimers. THE SITE AND ALL GOODS, SERVICES, PRODUCTS, THIRD PARTY APPLICATIONS, THIRD PARTY CONTENT, INFORMATION AND MATERIALS MADE AVAILABLE THROUGH THE SITE ARE PROVIDED TO YOU "AS IS” WITHOUT ANY EXPRESS REPRESENTATIONS OR WARRANTIES OF ANY KIND, AND WE, OUR AFFILIATES AND OUR RESPECTIVE ARTISTS, REPRESENTATIVES AND PROVIDERS DISCLAIM ALL STATUTORY OR IMPLIED REPRESENTATIONS, WARRANTIES, TERMS AND CONDITIONS WITH RESPECT TO THE SITE AND ALL GOODS, SERVICES, PRODUCTS, THIRD PARTY APPLICATIONS, THIRD PARTY CONTENT, INFORMATION AND MATERIALS MADE AVAILABLE THROUGH THE SITE, INCLUDING THE REPRESENTATIONS AND WARRANTIES OF SATISFACTORY QUALITY, MERCHANTABILITY, FITNESS FOR A PARTICULAR PURPOSE, NONINFRINGEMENT AND TITLE. (CERTAIN PROVIDERS MAY SEPARATELY PROVIDE LIMITED REPRESENTATIONS AND/OR WARRANTIES REGARDING THEIR THIRD PARTY APPLICATIONS; PLEASE CHECK WITH SUCH PROVIDERS FOR FURTHER INFORMATION.) WE MAKE NO REPRESENTATION OR WARRANTY THAT THE SITE (OR ANY PART THEREOF), OR ANY GOODS, SERVICES, PRODUCTS, THIRD PARTY APPLICATIONS, THIRD PARTY CONTENT, INFORMATION OR MATERIALS MADE AVAILABLE THROUGH THE SITE IS OR WILL BE ACCURATE, COMPLETE, ERROR-FREE, OR COMPATIBLE WITH ANY PARTICULAR SOFTWARE OR HARDWARE. FURTHER, WE MAKE NO REPRESENTATION OR WARRANTY THAT ANY SOFTWARE, HARDWARE, EQUIPMENT OR OTHER DEVICE OR SYSTEM USING THE SITE OR ANY GOODS, SERVICES, PRODUCTS, THIRD PARTY APPLICATIONS, THIRD PARTY CONTENT, INFORMATION OR MATERIALS MADE AVAILABLE THROUGH THE SITE WILL FUNCTION IN ANY MANNER. YOU HEREBY AGREE THAT IT IS YOUR SOLE RESPONSIBILITY TO (A) OBTAIN AND PAY FOR ANY SOFTWARE, HARDWARE OR SERVICES (INCLUDING INTERNET CONNECTIVITY) NEEDED TO USE THE SITE AND (B) ENSURE THAT ANY SOFTWARE, HARDWARE, EQUIPMENT, DEVICES, SYSTEMS OR SERVICES THAT YOU USE WILL FUNCTION CORRECTLY WITH THE SITE AND ANY GOODS, SERVICES, PRODUCTS, THIRD PARTY APPLICATIONS, THIRD PARTY CONTENT, INFORMATION OR MATERIALS MADE AVAILABLE THROUGH THE SITE. YOU AGREE THAT YOU MUST EVALUATE, AND THAT YOU BEAR ALL RISKS ASSOCIATED WITH, THE USE OF THE SITE, INCLUDING ANY RELIANCE ON THE ACCURACY, COMPLETENESS, OR USEFULNESS OF ANY THIRD PARTY APPLICATIONS, THIRD PARTY CONTENT, INFORMATION OR MATERIALS MADE AVAILABLE THROUGH THE SITE. 20. Indemnity. Except to the extent prohibited under applicable law, you agree to defend, indemnify and hold harmless us, our Affiliates and our and their respective Artists, Representatives and Providers, from and against all claims, losses, costs and expenses (including attorneys fees) arising out of (a) your use of, or activities in connection with, the Site; (b) any violation of this Agreement by you; (c) any use or other exploitation, or failure or omission to use or otherwise exploit, any Submission (including any portion thereof) that you post; or (d) any claim that your Submission or any use or exploitation thereof caused damage to or infringed upon or violated the rights of a third party, including without limitation past, present or future infringement, misappropriation, libel, defamation, invasion of privacy or right of publicity or violation of rights related to the foregoing. 21. Termination. This Agreement is effective until terminated. We may, at any time and for any reason, terminate your access to or use of: (a) the Site, (b) your user name and password or (c) any files or information associated with your user name and password. If we terminate your access to the Site, you will not have the right to bring claims against us, our Affiliates or our respective Artists, Representatives and Providers with respect to such termination. We and our Affiliates and our respective Artists, Representatives and Providers, shall not be liable for any termination of your access to the Site or to any such information or files, and shall not be required to make such information or files available to you after any such termination. We may take steps that we believe are appropriate to enforce or verify compliance with any part of this Agreement (including our right to cooperate with any legal process relating to your use of the Site, any Products or any third party claim that your use of the Site or Products is unlawful or infringes such third party's rights). Sections 2, 6-8, 15-23, 25-27 and 29 shall survive any expiration or termination of this Agreement. 22. Governing Law; Dispute Resolution. You hereby agree that this Agreement (and any claim or dispute arising in connection with this Agreement or your use of the Site) is governed by and shall be construed in accordance with the laws of the State of New York, U.S.A., without regard to its principles of conflicts of law, and you consent to the exclusive jurisdiction of the federal and state courts located in New York, New York, U.S.A., and waive any jurisdictional, venue or inconvenient forum objections thereto. 23. Filtering. Pursuant to 47 U.S.C. Section 230(d) as amended, we hereby notify you that parental control protections are commercially available that may assist you in limiting access to material that is harmful to minors. Information about how to protect your child’s privacy online is available at: http://onguardonline.gov/. Please note that we do not endorse any products or services listed at this site. 24. Information or Complaints. Under California Civil Code Section 1789.3, California users are entitled to the following consumer rights notice: If you have a question or complaint regarding the Site, please feel free to contact us via e-mail at privacypolicy@wmg.com. E-mail communications are not necessarily secure, so please do not include credit card information or other sensitive information in any e-mail to us. You may also contact us by phone at (212) 707-2000 or by writing to us at Rhino, 1633 Broadway, New York, NY 10019. California residents may reach the Complaint Assistance Unit of the Division of Consumer Services of the California Department of Consumer Affairs by mail at 1625 North Market Blvd., Sacramento, CA 95834, or by telephone at (916) 4451254 or (800) 952-5210. 25. Forward-Looking Statements. Statements appearing on the Site that concern us, our Affiliates or our and their management and that are not historical facts are “Forward-Looking Statements.” Forward-Looking Statements are only predictions, and actual future events may differ materially from those discussed in any Forward-Looking Statement. Various external factors and risks affect our operations, markets, products, services and prices. These factors and risks are described in our current annual report filed with the SEC and in other filings we make with the SEC. You can access our most recent SEC filings via the SEC EDGAR system located at www.sec.gov, or you may obtain these filings directly from us at no charge. We disclaim any obligation or responsibility to update, revise or supplement any Forward-Looking Statement or any other statements appearing on the Site. 27. Ability to Enter Into This Agreement. By using the Site, you affirm that you are of legal age to enter into this Agreement or, if you are not, that you have obtained parental or guardian consent to enter into this Agreement. 28. Contact Us. If you have any questions regarding the meaning or application of this Agreement, please direct such questions to privacypolicy@wmg.com. E-mail communications are not necessarily secure, so please do not include credit card information or other sensitive information in any e-mail to us. All materials©2006 -2017 Grateful Dead Productions unless otherwise noted. All rights reserved.